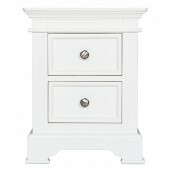 Shabby Chic French style bedside table with two drawers, in a distressed white painted finish, with ornamental fretwork detailing. 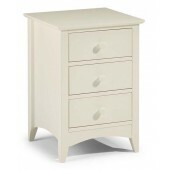 Shabby Chic French style bedside table with three drawers, in a distressed white painted finish, with ornamental fretwork detailing and turned feet. 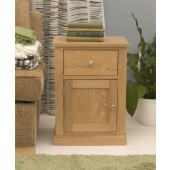 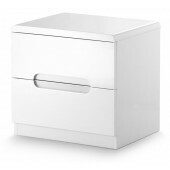 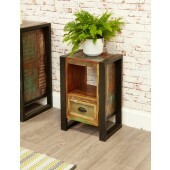 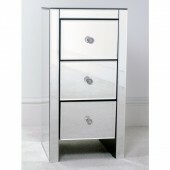 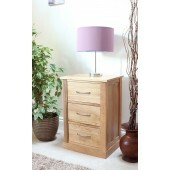 Mirrored 3 Drawer Slim Bedside Table in a contemporary style.